We’re a small town store with a big inventory! Stop in to visit at our “old time” hardware store, chances are we have what your looking for! 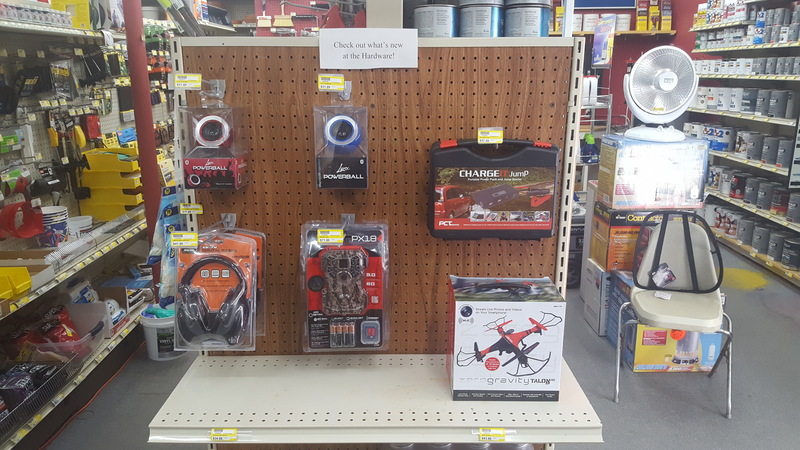 The Hardware at Rochester in downtown Rochester is your place to go for anything ranging from garden and office supplies, to exide batteries and propane refills, to even Greeting Cards and Moo Doo Products! Conveniently located in downtown Rochester, VT, the Hardware at Rochester also offers Valspar Paint and Cabot Stain, as well as Blue Seal Feeds. We even have PEX Plumbing! 8/13/17- Summer has treated us very well here at The Hardware, having some of the best months in years. We have new products as always, trying to keep up on the demands of our valued customers, and a new service, and a new rental. We now sharpen Chain Saws here, at a cost of only $10.00, and takes about 20 minutes. Evenly sharpened teeth, with our precision machine we purchased, makes your chain in top quality condition. We also added a pressure washer to our rental fleet, a Honda with 3,000 PSI. And the costs is very fair and competitive, $20.00 for a half day, $30.00 for a whole day. It also has the soap dispenser, so you can wash anything as well. We now have added another part time employee, Caro, a local resident, who is great with the customers, and eager to help. With new items weekly, a updated, well informed staff, no one can beat The Hardware! 6/23/17- Welcome summer! We have all sorts of exciting stuff happening here at The Hardware. 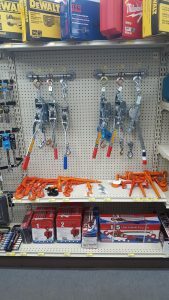 We now carry Dickies pants, have a new dog / cat section filled with toys and premium dog foods, we now cut any kind of piping or wood you need to any length, and much more. We also renovated the back room this winter, and did some renovations in the barn as well. Keep posted for more upcoming things here at the Hardware. 2/27/17- Chick Day forms are now available, ordering will be going on from now until March 22nd, with a delivery date of April 15th. Great prices, and even better pricing the more chicks that are ordered! 2/25/17- We are now an official Shipping Center for Package Express via UPS. You can now drop off your packages, process your packages at a comparable cost to our competitors, and have your packages shipped in a timely manner. We have boxes, bubble wrap, envelopes available at a small additional cost in case you need assistance with that. So you can now ship your packages while you shop at The Hardware! 1/13/17- We had quite a busy December, and January is on track to be as well. We did some renovations in the back room, and are adding a second checkout. We are now selling Somerset Wood Pellets, 100 percent Hardwood, great quality, and 40 pound bag for only $5.99. We can also get them by the ton (call ahead for orders that big), and can deliver anywhere in the valley (delivery charges may vary). 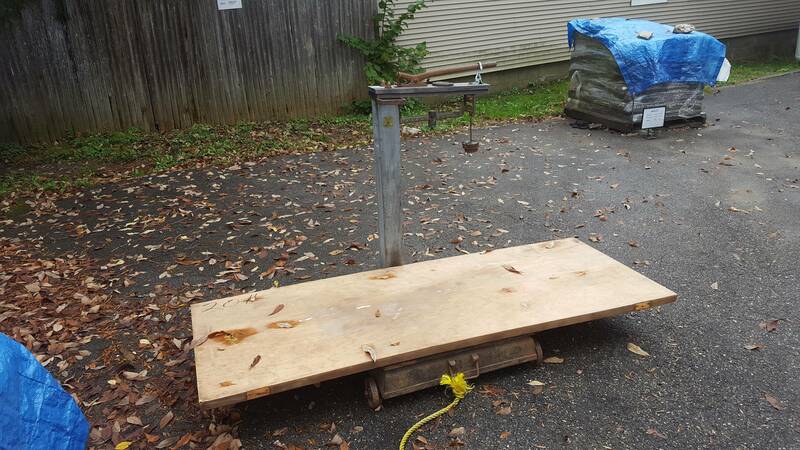 We are also gearing up for sugaring season, and look forward to supplying everyone’s needs come the season.We hope everyone had a great holiday season, and we look forward to seeing all of you at The Hardware. 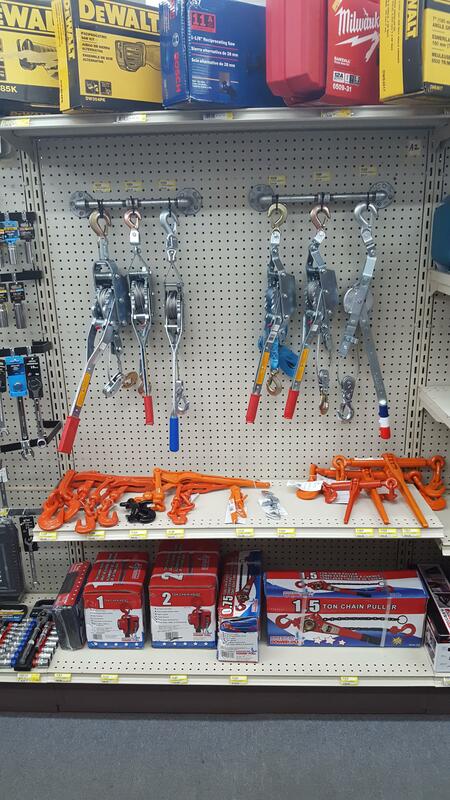 11/17/16- New this month we have an assortment of Cable Pullers, Strap Pullers, wide range of Load Binders, and Chain Blocks. Ranging in price from $7.99 – $159.99, come check them out. 10/14/16- We are excited to have some new products in for the holiday season, and want to let everyone know about them. First, we have two different drones just in time for Christmas. We have the Talon HD drone, which is Wifi capable, and has a run time of around 10 minutes for $93.99. We also have the Explorer Mini drone which is small, compact, and has a run time of about 6 minutes, for only $34.99. Next up, is the Powerball Wireless Bluetooth Speaker, which is small, portable, for just $21.99. Check out our Stealth Cam Game Camera for $71.99, and our AM / FM Radio Earmuffs for $41.99. And lastly, the ChargeIt! Jump 7500mAh Eva, which serves as a battery bank, flashlight, and can jump your vehicle so you no longer have to rely on anyone else, and that is only $57.99. 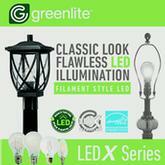 Come check out our new products, and keep your eyes out for new stuff going ahead. 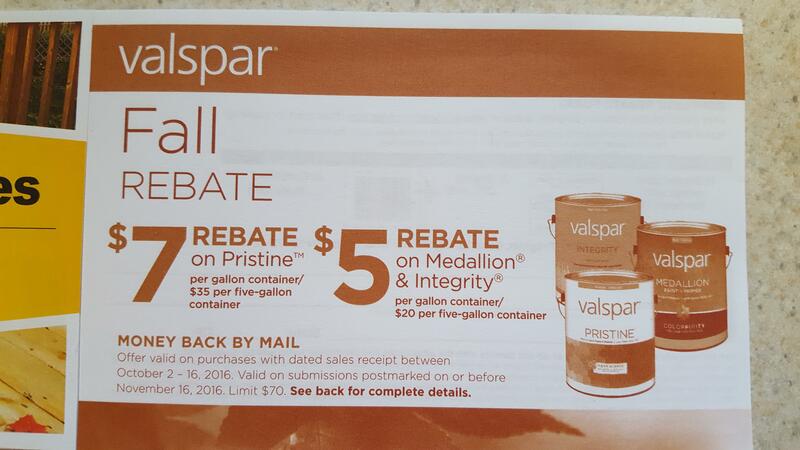 10/6/16- We currently have two different Mail in Rebate specials going on right now. 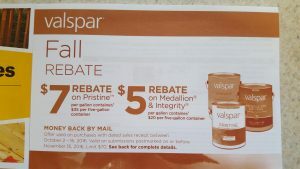 First is Valspar, they are currently doing a 7 dollar rebate on Pristine (per gallon container, 35 dollar per five gallon container), and 5 dollar rebate on Medallion and Integrity (per gallon container, 20 dollars per five gallon container). 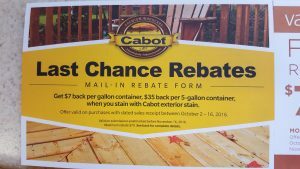 Secondly is Cabot, they are currently doing a 7 dollar rebate when you stain with Cabot exterior stain (per gallon container), and 35 dollar rebate on Cabot exterior stain (per five gallon container). 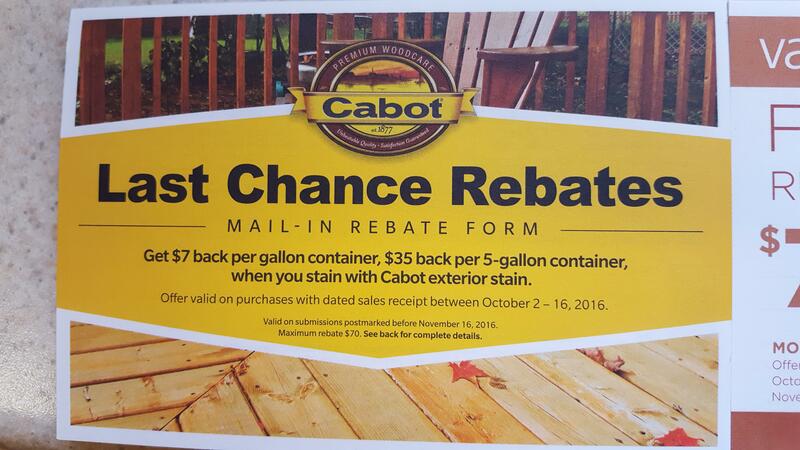 Both offers are good through October 16th, and valid submissions must be postmarked before November 16th, 2016. 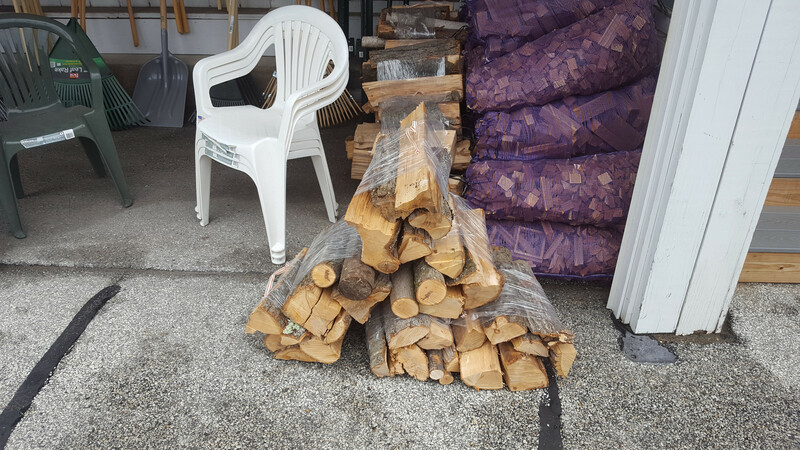 10/1/16- We are now selling bundles of camping wood for five dollars. Best price in the area, so come on down and get your wood for all your camp fires. We also want to wish all the hunters good luck, and remind everyone that we are a registered Game Station. We log your harvest, and put your name on a list along with the details of your harvest for everyone to see. And don’t forget to check us out for our Button Up Day sale November 12th. 9/22/16- We hope everyone had a great summer, and is just as excited as we are heading into the fall time. We just want to remind everyone that we sell all sorts of rakes, contractor bags, tarps, window winterizing material, wood stove and fireplace accessories, and much more. Don’t be caught off guard when winter arrives, let us help you keep ahead of it. We will also be participating in “Button Up Day” on November 12th going all day from 8 am to 4 pm. There will be sales going on to help you button up heading into winter, and light refreshments as well. You can also check out Buttonupvermont.org for more information. And lastly, introducing myself, I”m Zach Cavacas, local of Stockbridge and the new full time Assistant Manager. I look forward to growing with the store, and getting to know everyone along the way.